The other day, someone asked me if I had a daytime photo of the Tower of Terror from its approach from the Hyperion Theater. Surprisingly, try as I might, I could not actually locate a nice photo of this! Determined to correct this measure, I stopped by the Resort over the weekend to grab the shot. 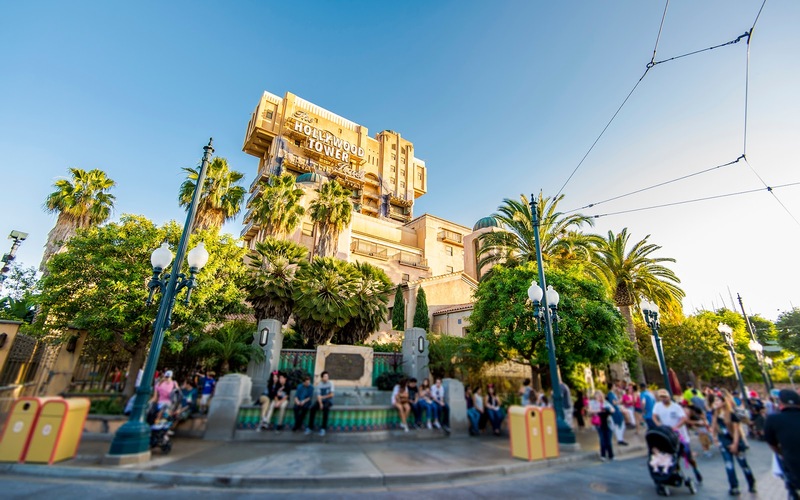 And while this is far from my ideal people-less shot (which is generally impossible during the daytime anyway), it does cast the Hollywood Tower Hotel in a beautiful light. Literally! The golden rays of the setting sun cast on the Tower of Terror.